■ Bundled with Thermal Printer & Memory device AATPR20 to print complete battery test reports. 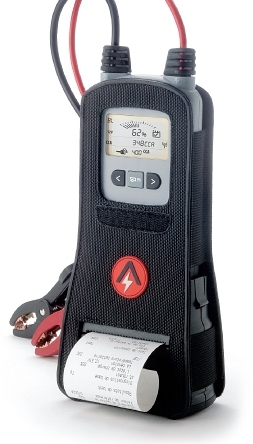 The AA360 is an effective solution for measuring automotive batteries on the bench, and for an owner/operator to use for testing storage batteries in RV and Marine applications. Large Pulse Resistance (LPR) technology provides a highly accurate snapshot of battery state of health. Compensation algorithms automatically adjust for temperature and discharged battery conditions.